I-Talay Zone Sea i Koh Samet, Thailand: Reservér nu! 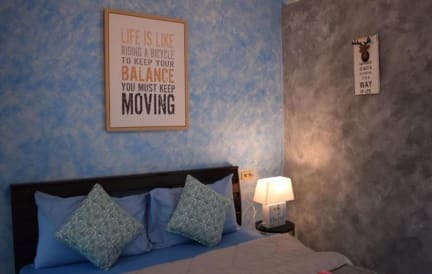 It is about 2 minutes walk from Nadan Pier opposite international clinic. It offers clean and comfortable rooms with air conditioning, cable TV, fridge, private bathroom and free Wi-Fi. I-Talay Zone Sea also has a tour desk, luggage storage and laundry service. Breakfast is optional. 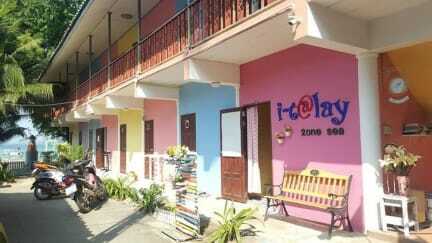 There are 3 other guesthouses belonging to I-Talay group. All guests of I-Talay guesthouses must check-in at I-Talay Zone Sea before transferring to other ones.